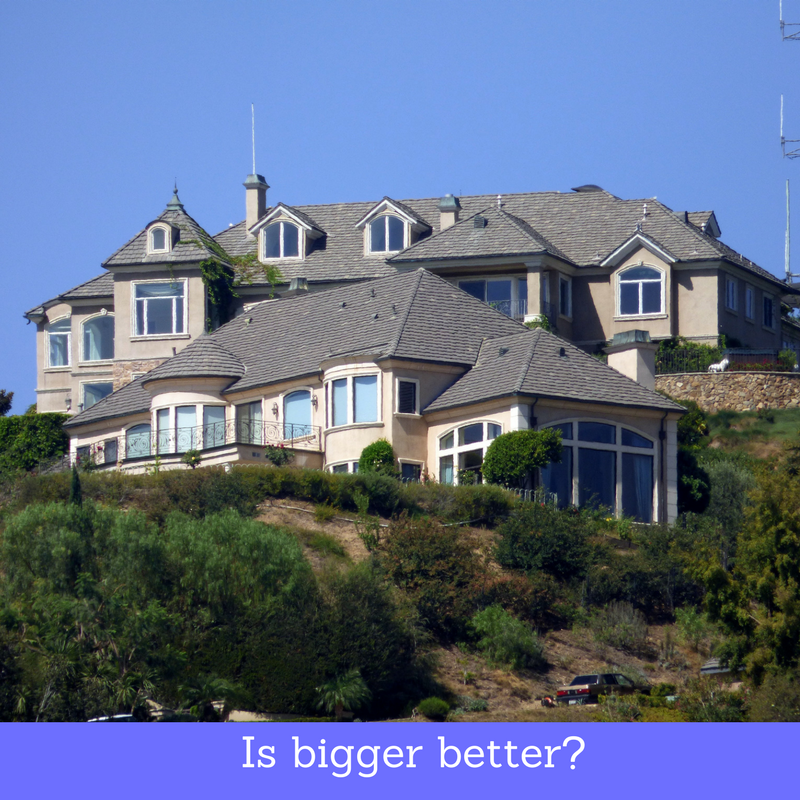 Whether you’re a first-time homebuyer or looking to trade up on your current residence, you’ll hear the conventional wisdom that “bigger is better.” Extra space is always nice to have, but is it wise to buy a larger home? In this post, we’ll look at some questions you may want to consider before you “move on up” to a larger house. Square footage isn’t the only factor in pricing real estate, but it’s a significant one – and a bigger house usually means a higher price. You may feel confident that you can meet your current mortgage payment, but can you handle a larger one? A bigger home also means more space – extra floors, rooms, and outside areas. That means higher utility, cleaning, and maintenance costs. Depending on municipal regulations or your HOA, you may be on the hook for expensive lawn care and snow removal services. Of course, you’ll also need to factor in higher property taxes and homeowners’ insurance premiums. On top of those extra carrying costs, you will also want to consider the added cost of repairing and refurbishing your home. More rooms mean more walls to paint and more carpet to clean. More walls mean more windows to replace. More square feet mean a larger and more expensive roof. A longer driveway means more concrete to pour. The list goes on and on – and even aside from extra money, you may be surprised by the extra effort that goes into caring for a larger property. Do I have enough breathing room? Even if you’re confident that you can meet all the financial obligations of a larger home, you may want to consider emergencies. If you or your partner were laid off, or if someone in your family became seriously ill, would your financial situation be secure? Are you planning other large financial obligations, like private-school or college fees or near-term retirement savings? You may also be planning to use your new home to build equity. This is often a valid option, but it’s important to consider your exposure in a volatile housing market. If you did experience a setback due to a drop in local housing values, would you be financially secure? If your plans to sell your new home – maybe when your kids move out or when you retire – were delayed, would you be comfortable staying where you were? Don’t forget your family might get bigger. If you are a single couple with out children accidents can happen and you have to be prepared for that. Things happen when you least expect it. Can I sell my current house at a profit? If you own your current home outright, or you have enough money on hand to cover the purchase price of a new home without relying on the profit from selling your current home, then you’re in a very strong position. However, if you’re like most homeowners looking to move, you will need to sell before you buy – and covering two mortgages is out of the question. You may be certain that you can make a sizable profit from the sale, which you can then use to fund the down payment on your new place. Remember, you will have other expenses associated with the transition to a new home. You’ll also need to cover closing and moving costs. We recommend that you set some funds aside for any immediate repairs for your new home, and that you strongly consider a “emergency fund” for new furniture and any other incidentals. No fun living in a larger place if you can’t decorate, right? You will also need to take a look at market conditions, is your area a seller’s market or a buyer’s market. How will this new home change my situation? There are certainly advantages to having more space – guest bedroom, home office, storage space, nursery for a new baby, separate rooms for growing kids. You may be able to solve your clutter problem once and for all, and you may discover a new interest in entertaining when you have room to throw parties and backyard barbecues. However, there may be other ways to achieve some of the same additional space – in effect, if not in increased square footage or extra rooms and closets! If you decide that you can’t upgrade to a larger property for the time being, consider decluttering. Junking old furniture and unused possessions can open up a surprising amount of interior space. If you have some money set aside, you may want to hire a professional organizer. These interior design experts specialize in reorienting homes to be a better fit. Getting a mortgage for a new home might be more difficult than you remember. Lenders will closely review your income, debts, assets, and liabilities, to make sure you don’t exceed a maximum debt-to-income threshold. 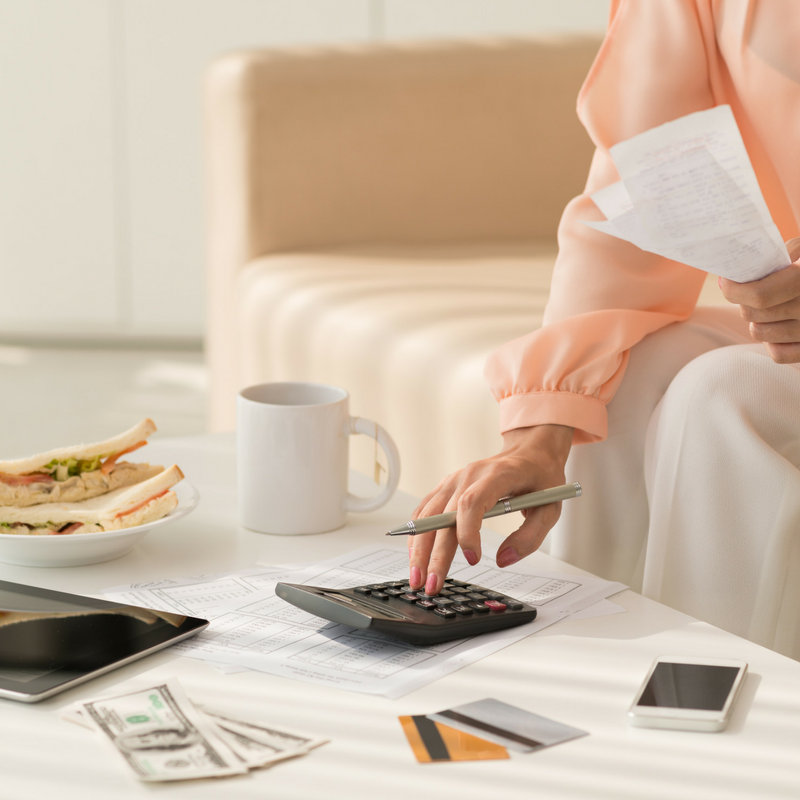 If you’ve maintained your mortgage payments on your current home, as well as your other financial and credit obligations, you should have a healthy credit record. Still, it’s best to consider whether your savings and projected income add up to a good deal for you – or if you may want to invest your funds in a different area. If you can’t secure a competitive interest rate, it may not make sense for you to upgrade right now. You may also want to consider the opportunity cost of swapping your current mortgage for a more onerous one. If you continue with your current home and mortgage, how many years will it take for you to own your house outright? What level of financial freedom will you enjoy? Is it likely that your current home will sell for more money if you hang onto it for another few years before putting it on the market? These considerations should all be a part of your decision to purchase a larger house for their residents, evaluating everything from daily routines to kitchen cupboards to create a home customized to your life.